A young member of my extended family has been going through an extremely traumatic experience in recent months, so what better way for me to show my love and support for her, than to make her a quilt? 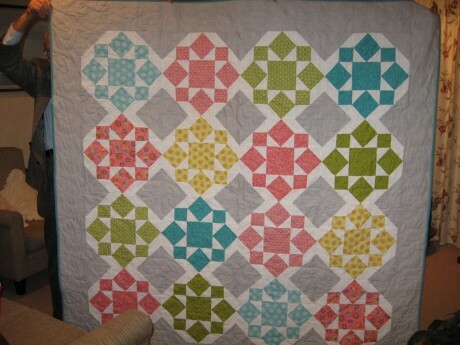 I wanted a reasonably straightforward design, totally machine pieced, using modern and pretty fabrics. 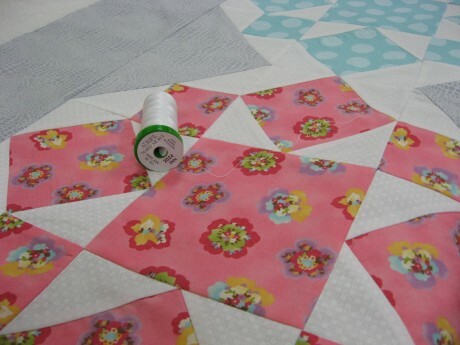 To piece the blocks I used Aurifil Cotton Mako Ne 40 in a warm light grey (colour 2615). This blended in very well with all the fabric colours in the blocks. 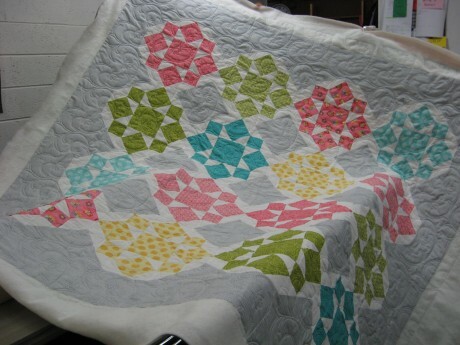 I used sixteen 15 inch blocks to make the quilt, and had eight different fabrics in addition to the white background and soft grey corners and borders. 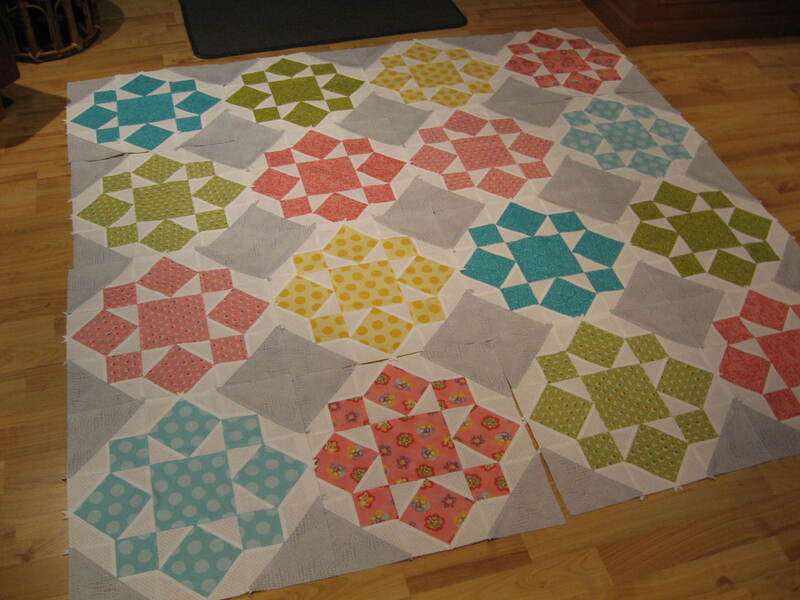 I have been going to use grey in a quilt for some time and am really pleased with the effect. It has become my new favourite base-colour!! Arranging the placement of the blocks. 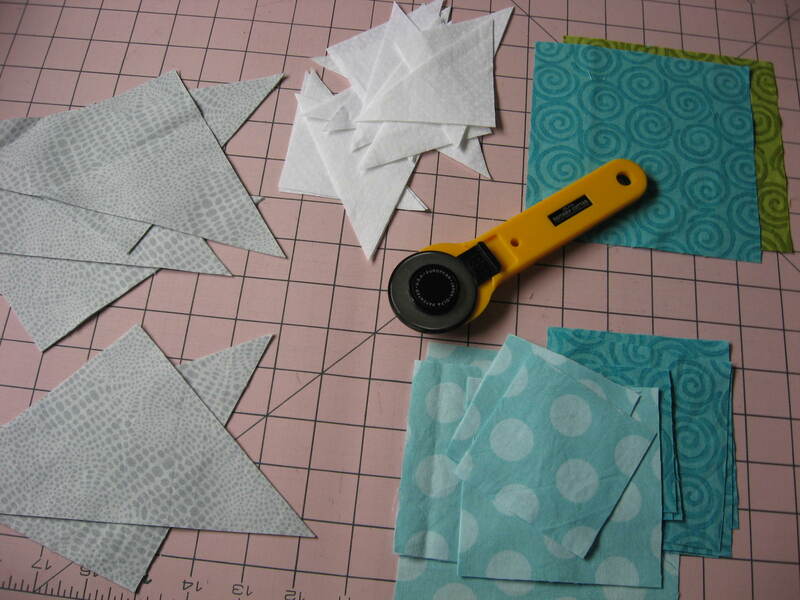 Aurifil Cotton Mako Ne40 used for quilting. 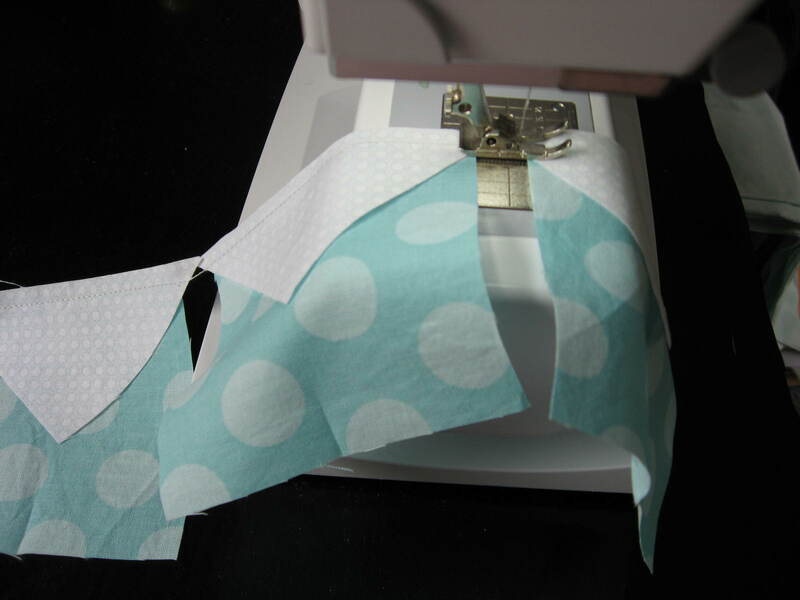 After trialling a number of different colours, I decided that white (Aurifil Cotton Mako Ne 40 – 2024) was my choice for quilting. Quilting my quilt at Always Quilting. 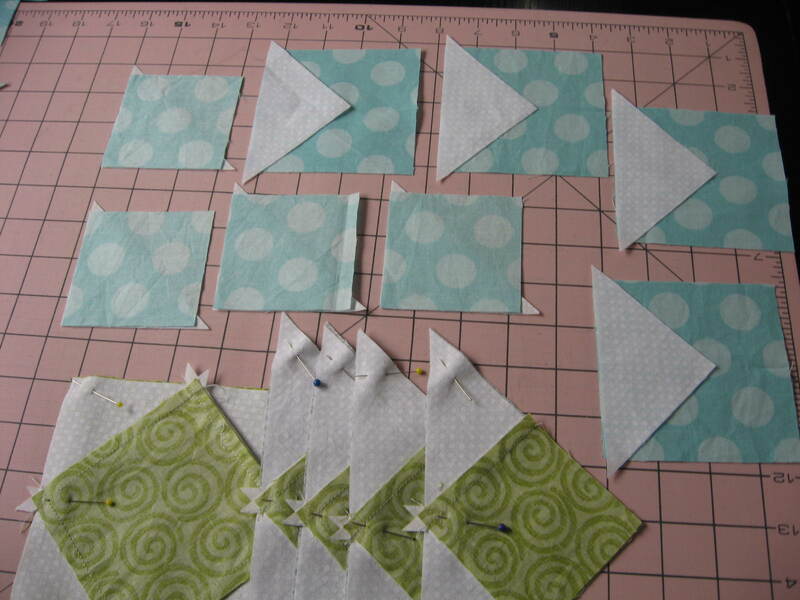 Edge to edge quilting design. This quilt was completed in about 5 weeks, quite remarkable for me as I usually make involved needle turn applique quilts which are long term projects. It’s a treat to reach the finishing line so promptly!! The quilt which I called “Garden of Hope” has now been given away and I hope brings a measure of comfort (and warmth) to my relative. 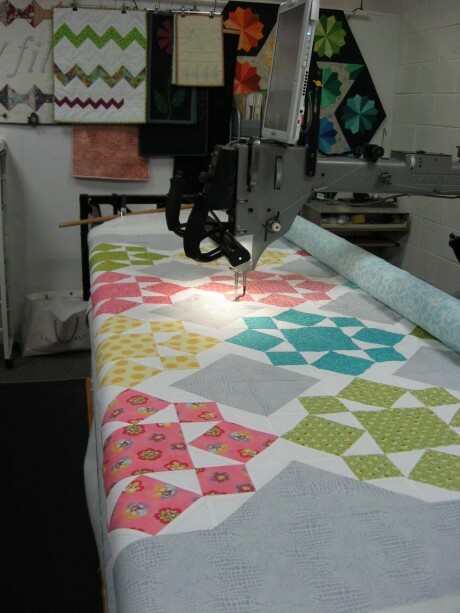 Special thanks to my colleagues at Always Quilting for your help and support during its creation.